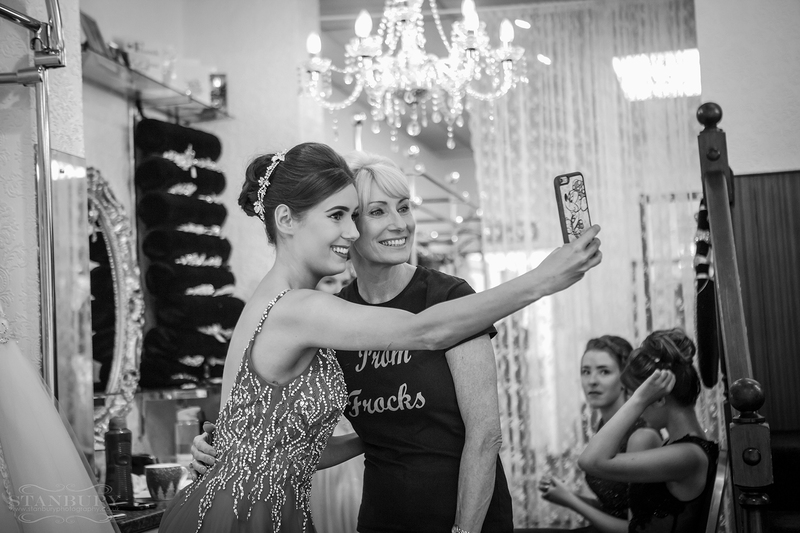 Imagine, you’re a fashion model for a day, with gorgeous dresses to wear, professional makeover and snapped by a top photographer – and you’re sharing the moment with all your best friends! LIGHTS — CAMERA — ACTION! 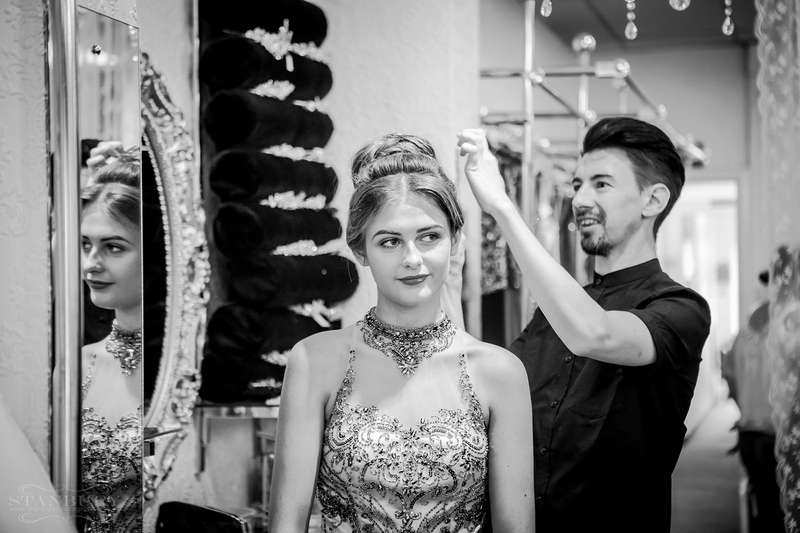 The stunning new Prom Frocks 2019 collection photoshoot was at Stanbury Photography’s super cool studio. 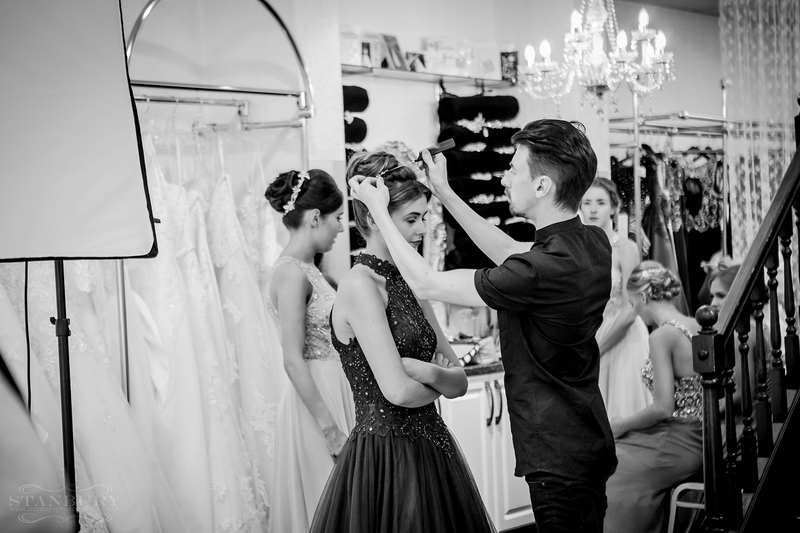 With it’s high ceiling, big high level windows and dazzlingly white walls it’s the perfect fashion photo location. 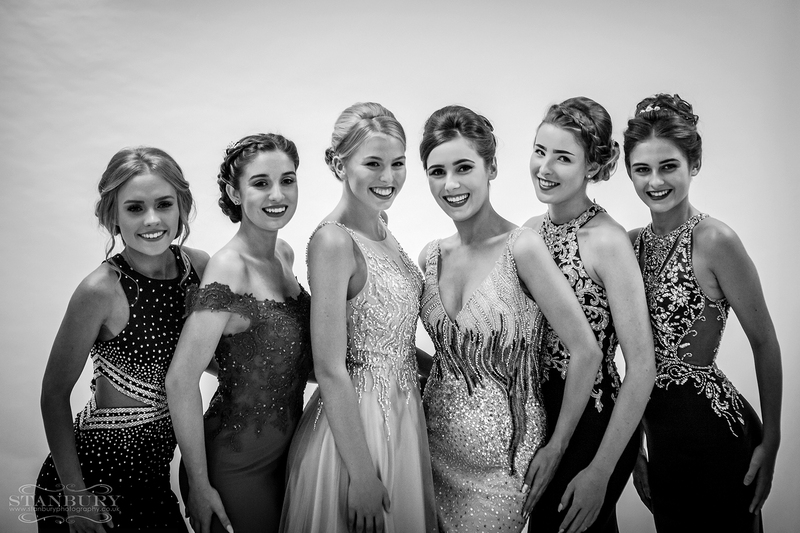 Fortunately for the girls it’s also reasonably warm too, as goose bumps don’t really mix with fashion photography! 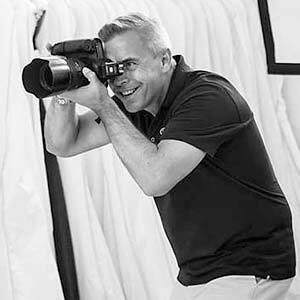 Prom Frocks wishes to extend our gratitude to the fantastic and multi-award winning photography team – David and Jane Stanbury from Stanbury Photography Wigan. 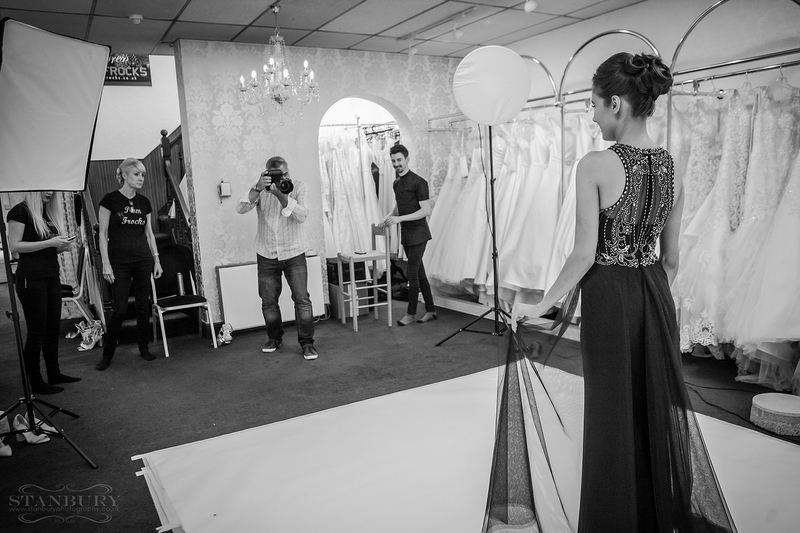 David took most of the fashion shots with Jane organising the lighting and taking the ‘behind the scenes’ images shown here in black and white. They’re both really fun to work with and made everyone laugh. We’ve got your styles covered! 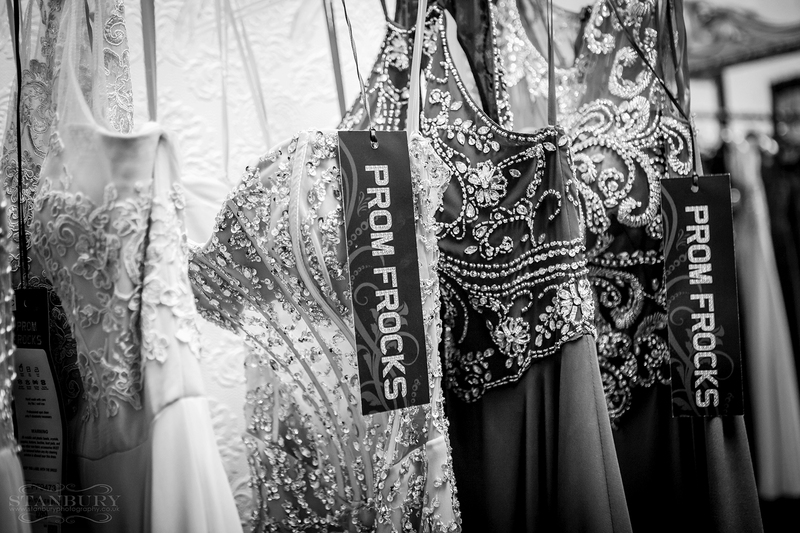 Look gorgeous, feel confident wearing exclusive Prom Frocks couture. 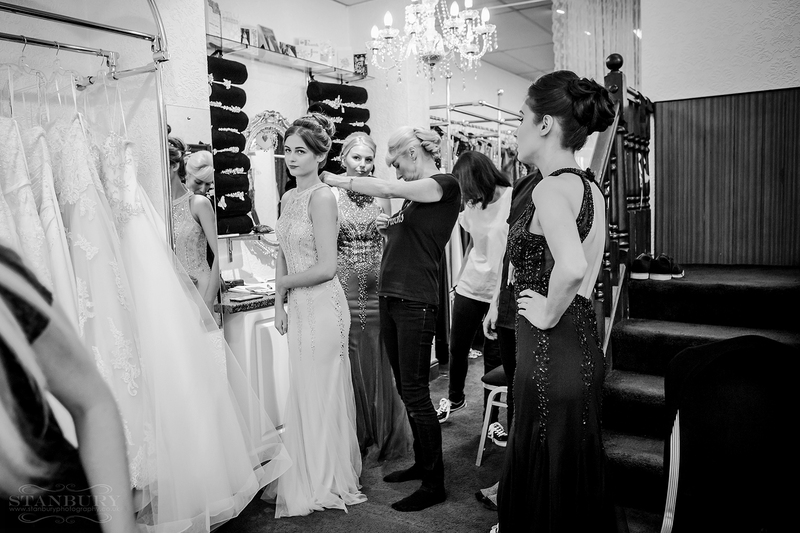 Expert tips from the team to help you buy the best prom dress for you.